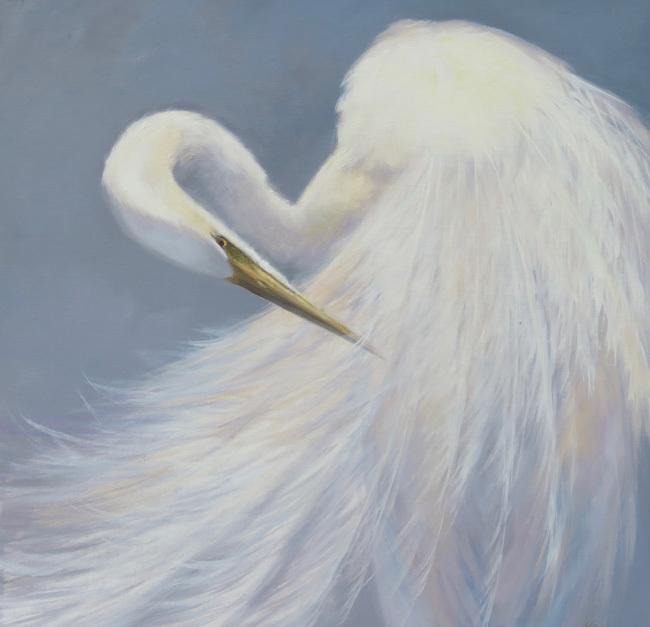 On Angels Wings - 20" x 20" - Oil on Linen - $6250. 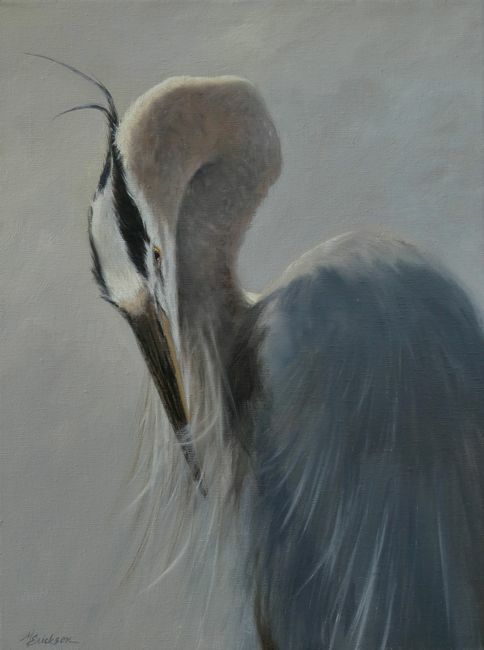 Undertones - Great Blue Heron - 30" x 40" - $16,000. 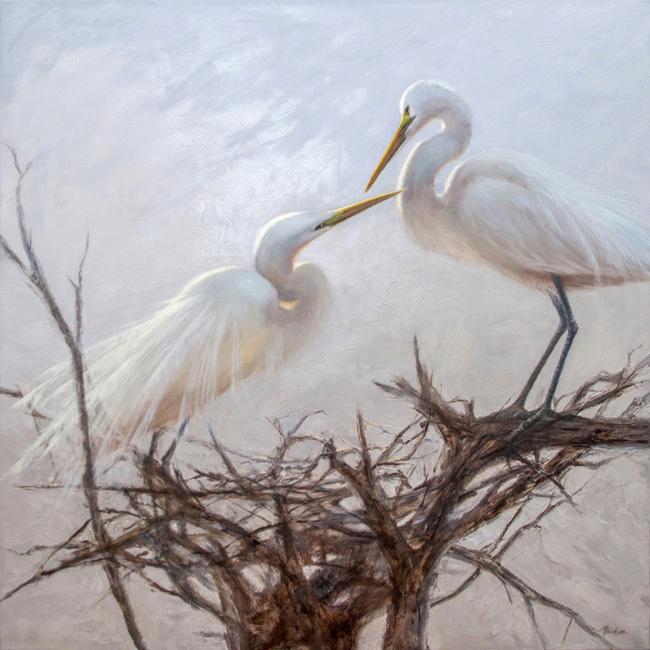 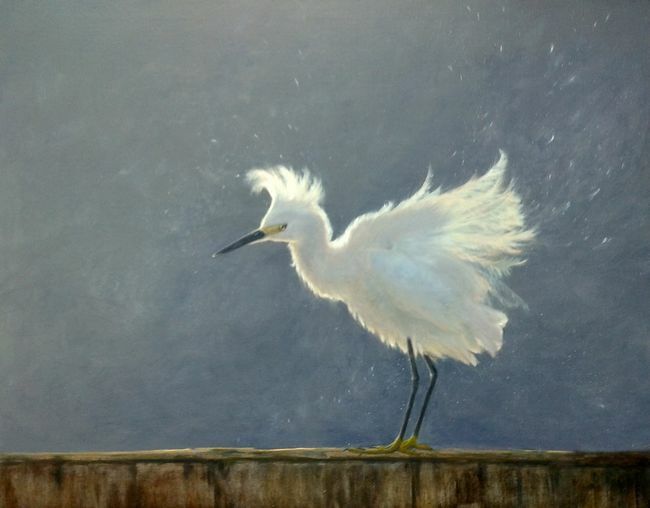 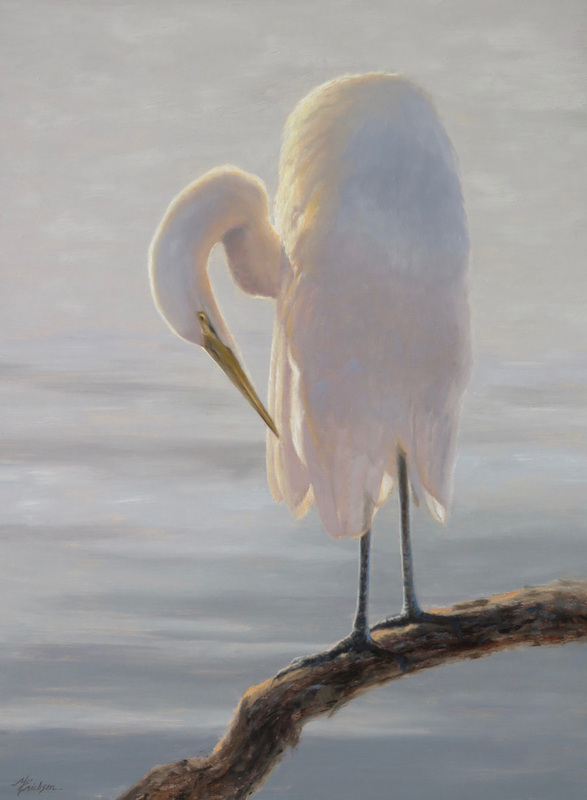 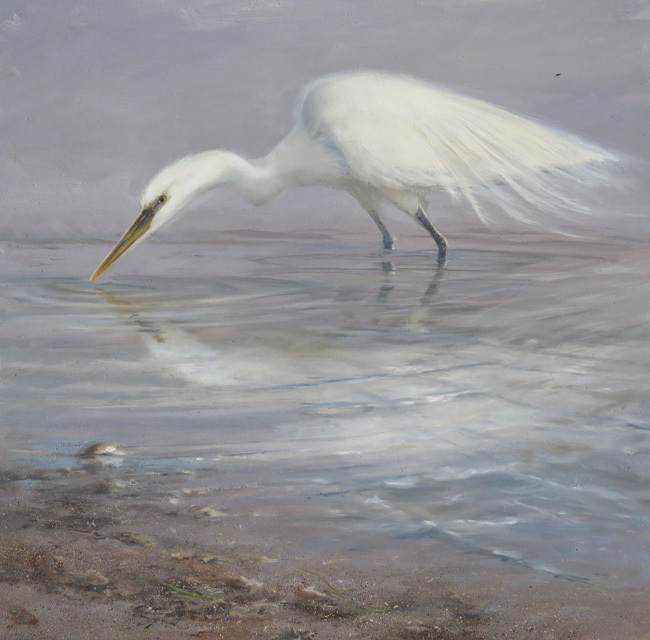 Gentle Breeze - White Egret - 12" x 12" - Oil on Panel - $2750. 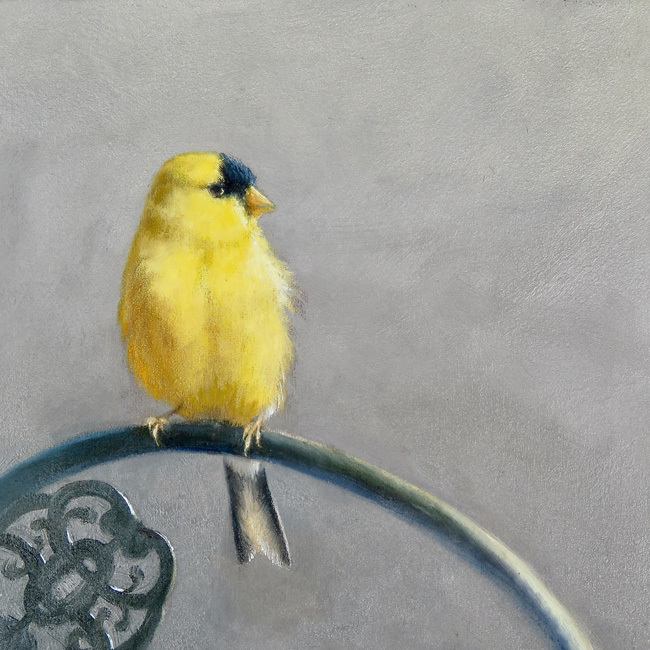 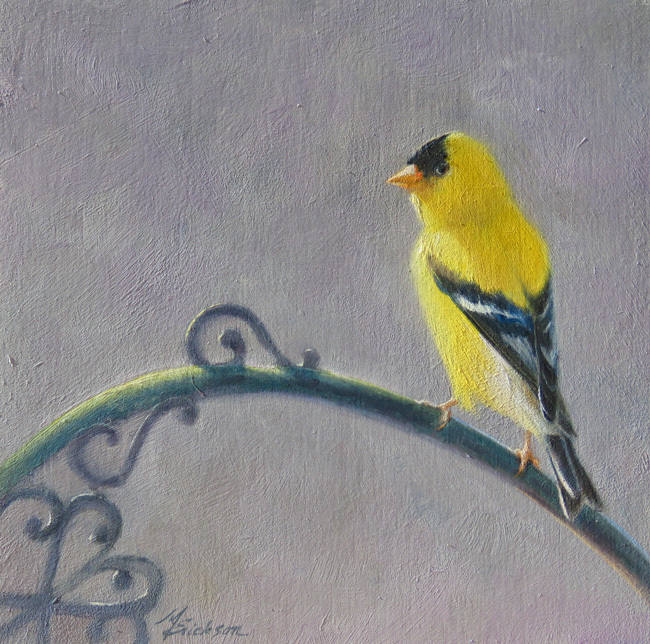 Gold Rimmed II - American Goldfinch - 8" x 8" - $1500. 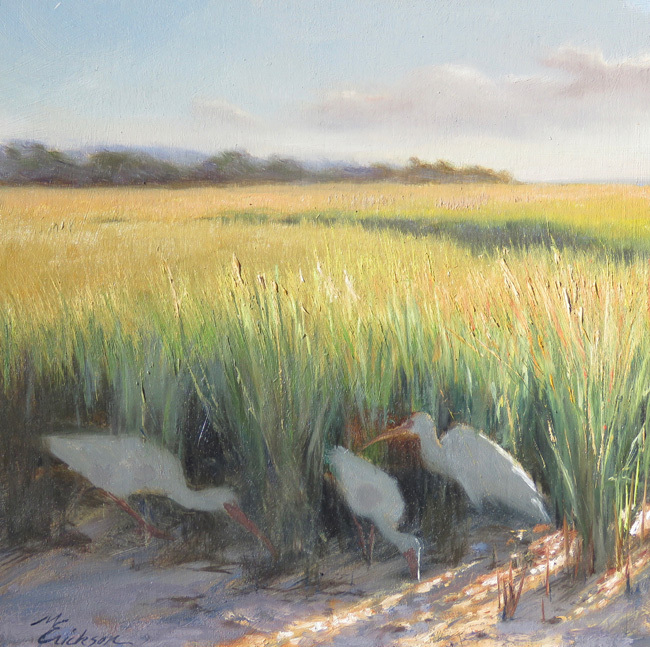 Hidden Marsh - 8" x 8" - $1500. 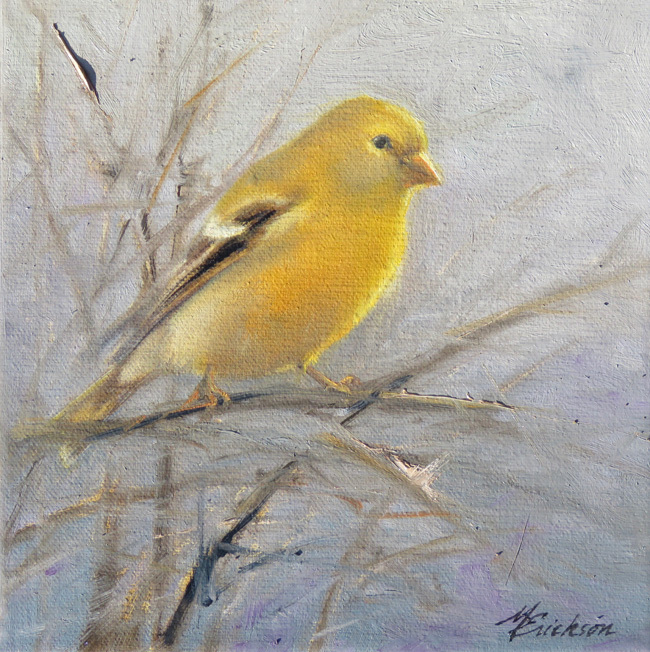 Spun Gold - Female American Goldfinch - 6" x 6" - $990. 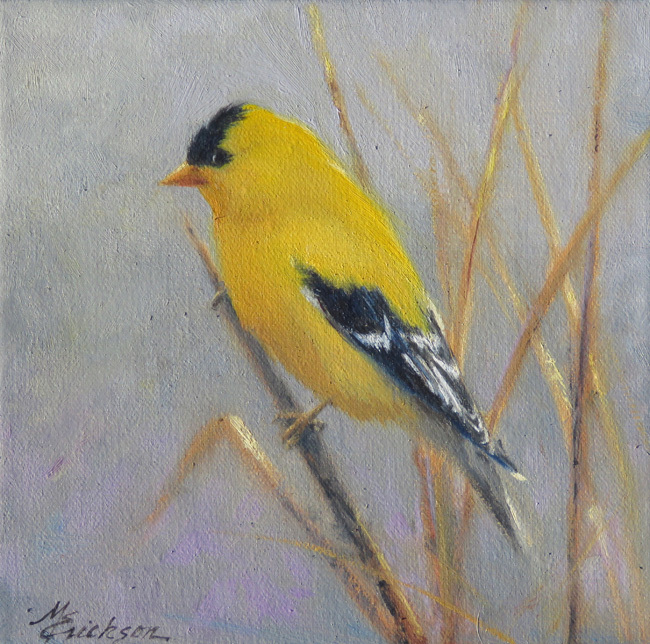 Spun Gold - Male American Goldfinch - 6" x 6" - $990. 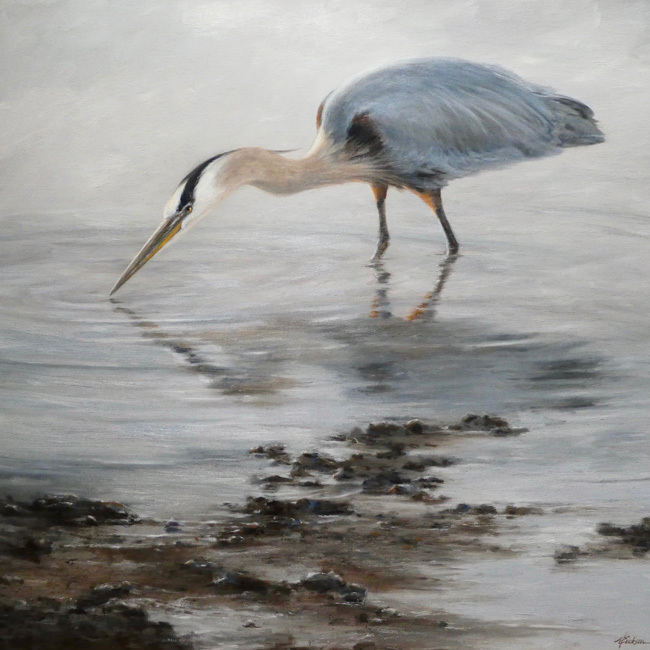 "Shades of Blue" - Great Blue Heron - 30" x 30" - oil on linen - $10,500. 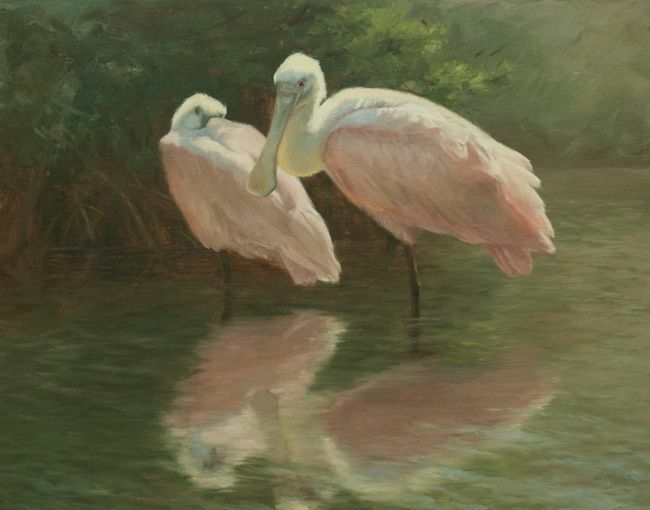 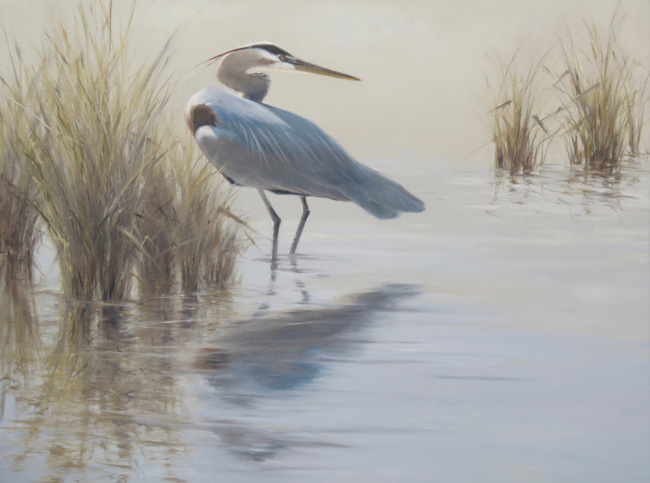 "First Light" - Heron and Egret - 48" x 24"
This original painting is offered for sale from a private collection. 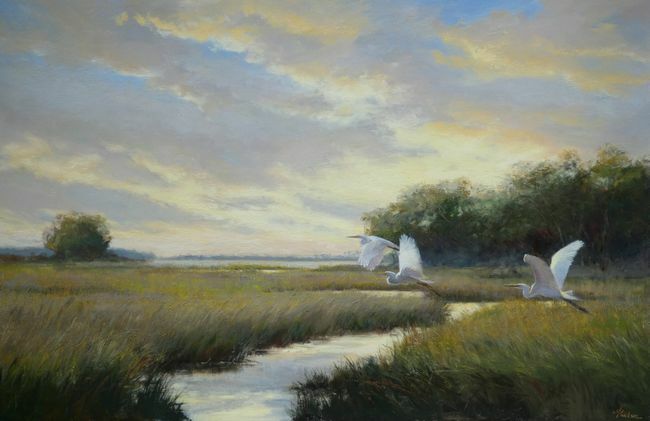 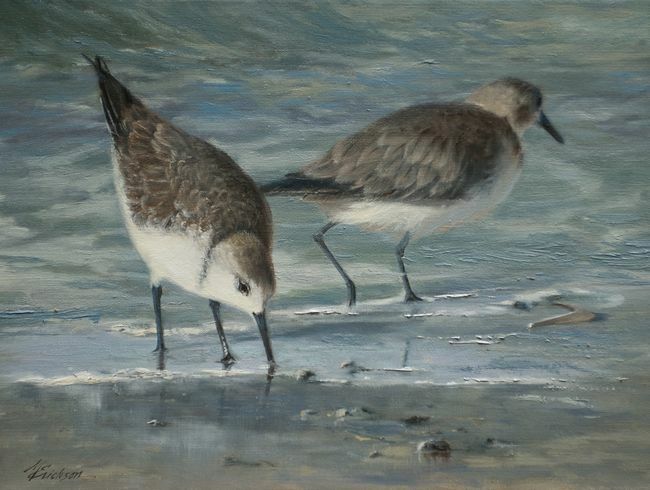 Please contact me at 704-219-0391 or email maryericksonart@aol.com if you are interested.